Happy New Year! 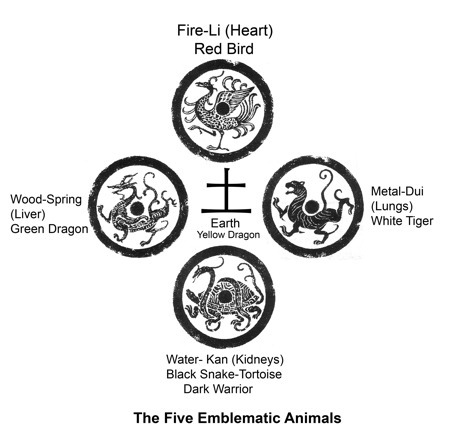 This coming Tuesday marks the first day of the Lunar New Year in the US, so I’m going to give a little background on the holiday and how our Four Gods would have celebrated the holiday during the late Eastern Han. Most of you probably recognize the red and gold lanterns, decorations, and firecrackers, but everything in the Spring Festival holiday has a specific reason for its use. First off, firecrackers were used as early as 200 BC in China, but the reason they are paired with red is because of a mythical monster called the Nian, which some say resembles the lion used in Chinese lion dances today. “Nian” (年) is the same word in Chinese for “year” and every New Year like clockwork, the Nian would emerge from its dwelling to eat nearby children and reign terror on the local people. The people soon learned though that the Nian was afraid of loud noises and the color red, so the next year, the villagers would decorate their houses with red talismans and lanterns and would set off fireworks to frighten the Nian away. To this day, fireworks, red decorations, and lion dances are used by Chinese communities everywhere to usher in good luck for the New Year. In Gen’s time, these celebrations would be celebrated similarly, but also would stretch around fifteen days, with each day being dedicated to a specific deity or purpose. For example, the first day of the New Year was (and still is) dedicated to one’s elders and family, and a person is expected to visit their loved ones and give gifts, much how we Westerners do around Christmastime. But beware, certain gifts should be avoided. White or black items, clocks, scissors, knives, chrysanthemums, hats, and pears should not be given as gifts during this time, as they are either associated with funerals and death or they will cut off your good luck. Ancestors that have passed away are also worshipped and paid their due respects during the holiday season, and home altars are cleaned and decorated to allow those gone before us to join in the festivities. Large dinners are held when everyone is gathered together, and staples of the holiday include golden egg rolls, dumplings, whole fish and/or chicken, and noodles. Gold foods represent wealth and good fortune, and chicken or fish are homophones with positive words in Chinese, sounding similar or the same to words for good luck or bringing in prosperity. Chinese culture has customs based all around homophones, and Chinese New Year is a holiday where you can see this custom in full force. Another homophone tradition is to get or make paper hangings with the character for good luck, called “fu” (福) in Chinese. In my house, I always hang my fu upside down, in Chinese it’s called “fu dao,” literally “luck upside down.” While Westerners may think this is a bad thing, “fu dao” also means “good luck has arrived,” so if you hang your fu upside down, it will bring you good luck. I’ve also heard some people say that they character for fu looks like a jar, and if you hang it upside down, the luck will pour out of it into your home and life. In modern times, the Chinese New Year is only a public holiday for about five days, but Gen’s family and the gods alike would have celebrated it for the full fifteen-day span. The gods are said to celebrate the New Year just like we mortals do, as the gods who reside on Earth report back to the Jade Emperor at this time. A huge party is thrown, and the gods gather together to feast and to report their yearly findings on us wee humans that they observed during the year. The god of wealth, the water gods, and the kitchen god are three important deities respected during this time. On the first day, the water gods are to be respected by conserving water. According to tradition, bathing and doing laundry is bad luck today, as not only are you disrespecting the water gods, but you are also washing away any good luck that may come to you. The kitchen god is one of the main deities, and if you have a statue of this god, it’s a tradition that honey or rice syrup is spread across his mouth. The reason for this is that when he ascends to report on your activities over the last year, if you give him honey to eat, he’ll only be able to tell the Jade Emperor the sweetest things about you and your family. The Jade Emperor is celebrated with a massive feast on the tenth day, and throughout the holiday, mainly on New Year’s Eve and New Year’s Day, mythical beasts such as the lion and dragon are celebrated with elaborate dances. Sometimes in other communities like the Hakka, the Qilin dance is also important to scare away evil spirits and bring about good luck. It’s also extremely good luck if one sees a Fenghuang around this time, as they are omens of prosperity, but this is a rare occurrence. The last day of the New Year is the Lantern Festival. This day is also the god of good fortune’s birthday, but some legends say that the festival was started because of the Jade Emperor’s temper. Legends state that a mythical crane left Heaven and flew down to earth and alighted in a small village. The crane was the Jade Emperor’s favorite companion, and it angered him that the crane was being kept on Earth. He planned to punish the people by setting their village ablaze, but the people were warned by his daughter of what was to come. The people, desperate for a solution, then lit an abundance of lanterns, bonfires, and fireworks to give off the illusion that their town was already in flames. The Heavenly troops were fooled by this illusion, and to celebrate their village being spared, lanterns and fireworks are lit yearly on this day. During Gen’s time, this Festival was of utmost importance along with the New Year itself, as families would light lanterns and make nighttime visits to their respective temples. This holiday was also a fun time for children to solve riddles posted around their temples, but during Gen’s time, this custom was mainly dedicated to the god of the North Star and to bring in light to beckon the coming of spring. This festival was (and is) also celebrated with gala performances, dances, and treats of sweet rice balls. In 2019, the Lantern Festival will fall on February 15th. 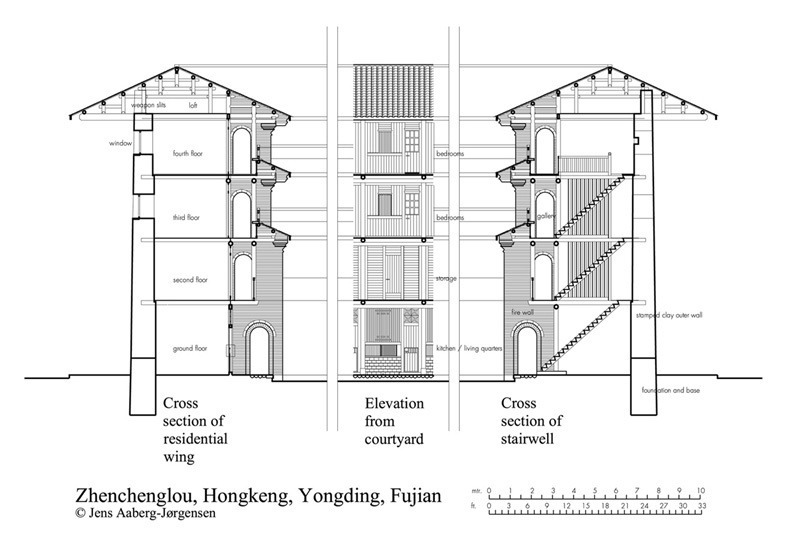 In this post, I’ll be discussing the architecture of the Si Ling compound. In Prince of the North, Gen notices that the “palace” the Si Ling live and work in is nothing like the palace he is used to. He describes it as being round in shape with four floors and one central courtyard/garden area for socializing and for meals. This structure is based on the Fujian tulou structures (although I admit that most tulou would have been constructed centuries after the time period that Prince of the North takes place in.) The reason I based the palace off of these fortresses is because 1) In Chinese myth, Heaven is round and Earth is square, so the round shape is representative of Heaven, 2) I needed a building that 4 or more people could live, work, and thrive in without having to run from one end of a gigantic complex to another (If any of you have seen old Chinese palaces, the distance between some of the buildings and offices is astounding), 3) Tulou are built to be in accordance with bagua principles, or the eight trigrams that work with the harmony of yin and yang, which fits perfectly for an organization that works in harmony. 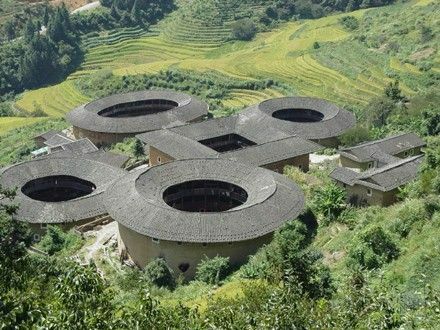 Now let’s talk about the tulou of reality: tulou are earthen fortresses constructed by the people of Fujian province, mainly the Hakka people. Once finished, their walls can average about 6 feet thick and they are known for being earthquake-proof and wind-proof. Many of the tulou of Fujian date back to the 1300 and 1400s (while still remaining functional, too! Many families still live in these fortresses today). 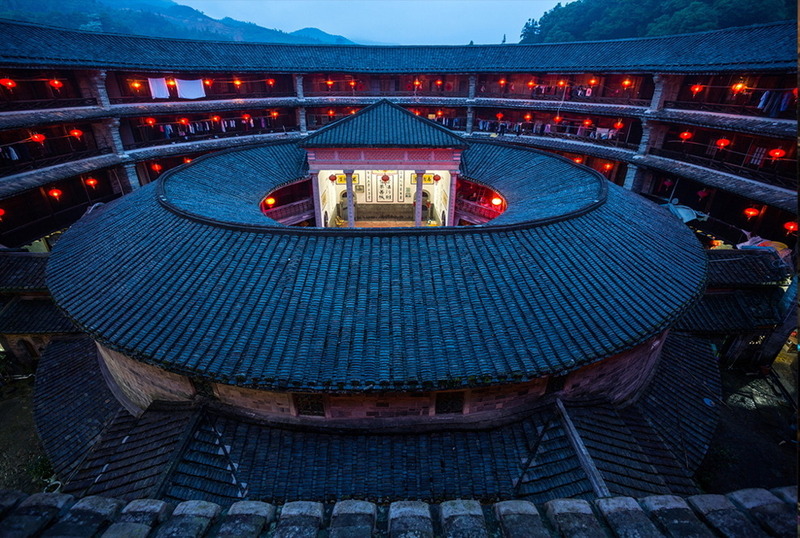 The largest tulou is around 254 feet in diameter and most stand at 3 to 5 floors. The most interesting thing about tulou fortresses is that they house families and people as equals. No section or wing is larger nor more elaborate than another, and everyone’s private quarters are of the same quality. While larger groups would have larger sections of the tulou for their family, every family is ranked equally when living together in the tulou, which is another reason I wanted to base the Si Ling mansion off of this structure: once inside, all four men are equals. There are 4 wings: Qinglong, Xuanwu, Baihu, and Zhuque. 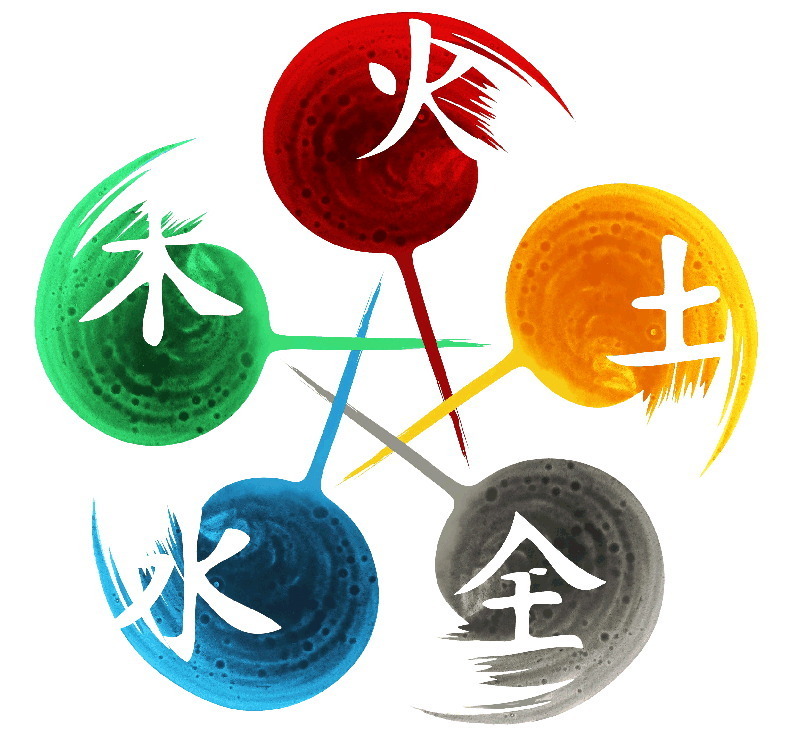 Each wing is color coordinated to match the astrological colors of each sign, Qinglong is decorated in blues and greens, Xuanwu is decorated in greens and blacks, Baihu is decorated in whites and golds, and Zhuque is decorated in reds, pinks, and oranges. The communal areas are situated between the Qinglong and Zhuque wings, as well as in the center of the palace. They are decorated in violet and burgundy. Each wing (aside from the communal wing, which is smaller) takes up an equal amount of square footage of the mansion and each sign owns the four floors within their wing going vertically from bottom to top. 1st floor- courtyard, kitchens, and dining areas. Private kitchens and dining rooms are sectioned off for each member, but a communal kitchen is available off of the courtyard. 2nd floor- offices, studies, pharmacies, and laboratories. The offices and libraries are on this level, and a public office sits above the communal kitchen for all four to use if need be. 3rd floor- bathrooms. Bathhouse areas are on this floor. 4th floor- private wings and bedrooms. All bedrooms are located on the top level, and although only the 4 members of the organization live in the mansion at a time, each wing contains up to 4 separate bedrooms for guests, family, or other deities who may require it. Observatory- The observatory is a separate building off to the east side of the mansion and is used for all astrological work. Like most tulou, the Si Ling mansion only has one gate on the west side, which leads directly to other buildings in Heaven such as the Flower House and the palace of the Jade Emperor. Unlike earthly tulou, there is a main staircase connecting the bedrooms to the courtyard, and this staircase is located on the inner side of the south wing. However, staircases also link the other wings to their floors and courtyards, but these are located in the inner corners of each wing. Xuanwu (Dark Warrior)– Represented by a Black Snake twisting around a Tortoise, Xuanwu is associated with all things water. In The Four Gods, Gen struggles with mastering his qi, especially because he learns that using too much to manifest his powers leads to exhaustion. The center of his powers rest in his endocrine system, and using too much causes him pain, fatigue, and confusion. Once he gets the hang of things, his powers manifest in the forms of ice and sea plants. Zhuque (Red Bird)– Represented by a red bird, Zhuque is represented by the passionate element of fire. Fengge is often caught using his powers when he needs them least, such as starting fires for cooking or warmth. Fengge however, has mastered the use of his qi, though becoming too reckless with it causes him heart palpitations, shortness of breath, and weakness, as the center of his powers rest in his circulatory system. Fengge also possesses clairvoyance and minor psychic abilities such as future sight and telekinesis. Qinglong (Green/Azure Dragon)-Represented by a teal dragon, the element of this god is actually wood, not water as it is often mistaken for. Longwei is an interesting case, in that he is actually a storm dragon, not strictly a water dragon, but his qi manifests mainly in the use of sea plants, vines, and thorns. His center for his powers rest in his digestive system, and he becomes lucky in that overuse only causes pain and fatigue. He shares many of his abilities with Gen, and their qi manifestations are eerily similar, only because Longwei lends many of his powers to Gen as the leader of the Si Ling Organization. Baihu (White Tiger)- And lastly, we come to the enigmatic god of the four. Chonglin is a Qilin, not a white tiger as shown in most of the astrological charts, mainly because the Qilin is not only a member of the four sacred beasts but also, it was a more ancient symbol for the western direction before the white tiger became the symbol. Despite this difference, Chonglin’s element of metal is the same, and he also shares the Lake trigram with Baihu. Like Baihu, the center of his powers rests in his lungs, as the lungs provide the tiger’s power when it roars and provides the Qilin power when it blows its fiery breath. Chonglin’s qi manifests as metal shards, gems, and thunder/lightning, as metal is a conductor for electricity. Like Fengge, Chonglin possesses clairvoyance, future sight, and telekinetic abilities, though he has much more mastery over his abilities than Fengge. Overuse of his powers causes shortness of breath, pain, and fatigue. It’s Mystical Monday time! This week I’ll be going over the trigrams of the I Ching. These and the natural elements are crucial in understanding how the world works in the universe of The Four Gods. Let’s get started! Firstly, the world is made up of five elements. These elements are fire, earth, metal, water, and wood. These elements react with one another in different ways to create reactions (for example fire burns trees to make earth-> earth produces metals-> condensation can form to metal to become water->and water makes trees made of wood grow, etc.) Elements also have reactions that can destroy one another (another example, water puts out fire, metal chops down wood, fire melts metal, and earth absorbs water). This is the general relationship of the elements that are important for understanding the trigrams and relationships between the gods of the Si Ling. Let’s move on, shall we? In The Four Gods: Prince of the North, Gen notices a series of trigrams above each of the gods’ workstations. In the I Ching, these trigrams combine to form hexagrams for divination. When combined, each hexagram has a meaning that can signal the diviner to a possible outcome. Each root of a trigram is a yang line (or a solid line) and a yin line (a broken line), which represents a trait, a situation, and an element of the natural world. 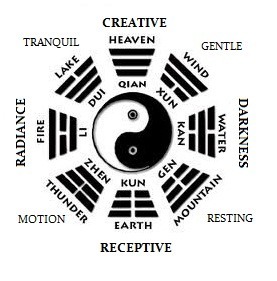 These are a little different than the five elements I talked about above, but they have significance in the practical magic used by the gods of the Si Ling. Chonglin introduces Gen to the meaning of the trigrams, and I’ll go into more detail below on the main four used in The Four Gods lore. 1. Water, or Kan. This is the trigram for the northern direction, as the element for Xuanwu is water. While water represents darkness, this isn’t the darkness of western thought that we’re familiar with. Darkness here doesn’t mean evil, it means mystery or the unknown. Kan also represents risk-taking in forging ahead into that unknown, which is useful when this is present in a divining or for the guidance of a certain protagonist. Note also how water has mostly yin lines. This trigram is also considered a minor yin trigram, rather than a major one. 2. Fire, or Li. This is for the southern direction and is the polar opposite of Kan. Radiant, passionate, and burning, Li is the powerhouse of the trigrams and represents knowledge and awareness, making it useful to remind us to be more aware of our surroundings, but also that in this journey of learning the future, there may be many things we don’t yet know. Signifying Fengge’s role, it mostly fits him trying his hardest to be Gen’s opposite. This is considered a minor yang trigram. 3. Thunder, or Zhen. This is used in the Si Ling for the eastern direction and is Longwei’s domain. Zhen is used to put ideas or situations in motion and rolls forward as initiative or an action. In The Four Gods, Longwei is the leader and head of all operations, and thunder represents his initiative to keep the organization alive; this is also a homage to Longwei being a storm dragon. This is considered a minor yin trigram like water, despite the dragon always being a depiction of yang. 4. Lake, or Dui. This is the trigram for the western direction. Notice how like fire and water, thunder and lake are opposites. While thunder has more yin lines and lake has more yang lines, the western god is actually a representation of yin. Lake represents joy, sensibility, and feeling and denotes Chonglin’s role as not only the voice of reason within the Si Ling organization but the joy that he puts into his work as the organization’s teacher and the stillness he brings to an otherwise very passionate and rambunctious group. This trigram is actually a major yang trigram. Two minor yin and one minor and major yang trigrams together balance out to become the force of yin and yang, the essence that exists in everything. Also take notice of how these trigrams are shown being grouped together on the yang side of the taiji symbol, notifying the gods’ role as mainly yang beings. Confused yet? I hope not, but this is crucial in not only understanding the world of The Four Gods but also in how the ancient Chinese saw the world. That’s all for this week! Next week I’ll move on to qi and how these elements, trigrams, and relationships add up to make magic in The Four Gods’ universe. See you then! Hello, all! So I am slowly consolidating my blog onto my website for ease of access. Some of these posts are repeats since they are moving to their new home. (I also know it’s not Monday, but there will be posts every Monday from here on out!) Kicking off the segment, we’re going for a throwback to The Moon-Eyed Ones and its namesake, The Moon-Eyed People from Cherokee myth. Let’s get started! The Moon-Eyed People were first mentioned in Western records in 1797, but the best Western source can be found in James Mooney’s 1902 book, Myths of the Cherokee, though Mooney notes that while the tradition of the Moon-Eyed People isn’t extremely detailed, it’s a consistent tradition based on the idea of predecessors in Appalachia before the Cherokee arrived or made their presence dominant in the Southern Appalachians. Western sources disagree as to who these people may have been, as Cherokee descriptions of them mainly note that this group was called “moon-eyed” due to their blue eyes that caused them to see poorly during the day. The Moon-Eyed People were said to be nocturnal due to this, and some ancient stone structures in Tennessee and Georgia are credited to their civilization by the Cherokee. But the question remains: Who were these people? Many Western sources say the Moon-Eyed People were early white or European settlers, such as the Welsh, who may have found their way to the Americas before other Europeans began to settle the Appalachians in the 1700s. Other early sources say they may have been Indigenous people with a form of albinism, some say they were a separate tribe who assimilated with the Cherokee, some even say that the Moon-Eyed People were a mythical race of supernatural humans, similar to the Nunnehi (lit. “The people who live everywhere”). Every source does agree, though, Cherokee included, that whoever they were, the Cherokee expelled them from their mountain homes and wiped them out either through war or through cultural assimilation. Still, no one knows for sure who these people were, but theories abound even to this day as to who, or even what, built the stone structures and mounds that populate the forests of Tennessee and Georgia. So how do they tie in to The Moon-Eyed Ones, which takes place in the 1830s, well after the Moon-Eyed People had disappeared? Silas is often called “Moon-Eyed” by the Cherokee characters throughout the book, and he is first introduced to the myth through Waya, Amadahy’s brother-in-law. The Cherokee name Amadahy gives him, Nvdodikani (pronounced Nuh-do-di-kahn-i), even means “sun/moon-gazer,” as nvdo is the Cherokee word for both the sun and moon, the only difference is that one is the nvdo for the day, and the other is nvdo for the night. As Silas speaks to Waya and Inola, the matriarch of the Kingfisher family, he asks if he is one of these Moon-Eyed People, because while the myth is vague, it fits his family’s history: the Vanovers and the other Melungeons of Hawktail Ridge were driven from their home to hide in the mountains where no one could find them, not by the Cherokee, but by the settlers of Ellistown. Silas also mentions in the book’s opener that his family had been in the mountains after the Cherokee, but before the other European settlers came in from the colonies according to the stories passed down to him by his parents. 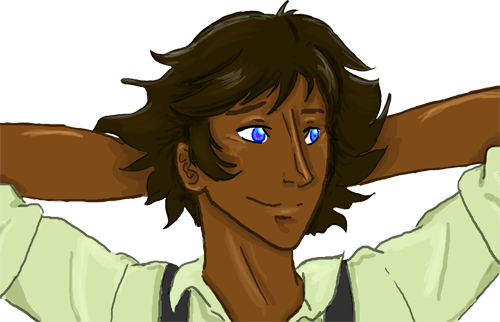 Either way, Silas also fights the myth of all Melungeons having vivid blue eyes and inhuman traits, something that was used to other Melungeon people from both the whites and Natives of the Appalachians, and is still even used today. Despite the blue-eyed myth being true in his case, the Moon-Eyed People of the book’s universe were an indigenous group, not necessarily foreign settlers from a European expedition. It is hinted that the Cherokee of Cedar Hill often considered their Melungeon neighbors to be descendants of this mysterious tribe, while also recognizing that they were mixed-race individuals that didn’t quite fit in anywhere. 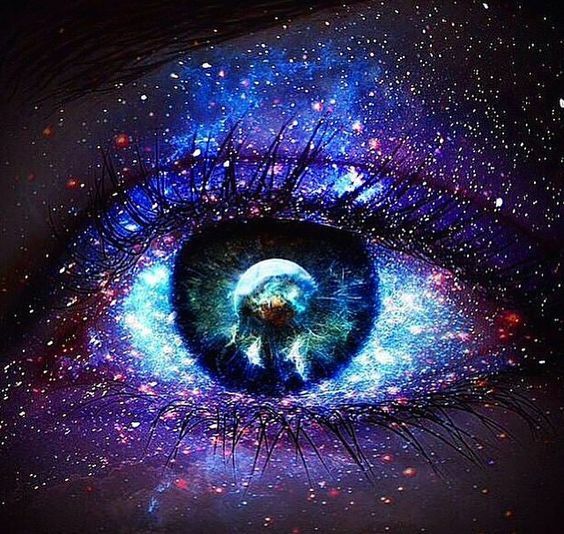 As far as the title is concerned, it also references the literal meaning of “moon-eyed,” meaning “having eyes wide in wonder,” as Silas and Amadahy go through learning experiences throughout the entire book. Still, no one in Cedar Hill can answer who the Moon-Eyed People really are, and whether Silas and his family are descendants of this group remains a mystery.